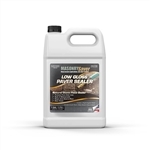 Epoxy Fortified Paver Sealer is a clear, durable, water-based sealant designed to protect and beautify clay and cement patio paver stones, giving them a rich satin sheen. Defy Epoxy Fortified Paver Sealer is a durable, water-based, clear sealer designed to protect and beautify both clay brick and cement patio type paver stones. It's formulated utilizing an epoxy fortified acrylic resin that provides protection from both water and the ultra-violet light of the sun. SuperSeal25 can be used for Stamped Concrete, Stamped Cement, Decorative Cement, Bricks,alt Acid Stained Cement, Concrete Stains, and Exposed Aggregate. SuperSeal30 is a High Gloss can be used for Stamped Concrete, Stamped Cement, Decorative Cement, Bricks,alt Acid Stained Cement, Concrete Stains, and Exposed Aggregate. SuperSeal Matte will darken the substrate like a "wet look" put has an additive to reduce the shine. SUPREME SHIELD SB is a solvent-based penetrating sealer designed for stamped concrete, concrete pavers and other porous concrete surfaces. Application of SUPREME SHIELD SB will enhance the color and give the wet look without adding the gloss and plastic look associated with traditional film forming sealers. Once treated, the surface repels water and oil to prevent staining.